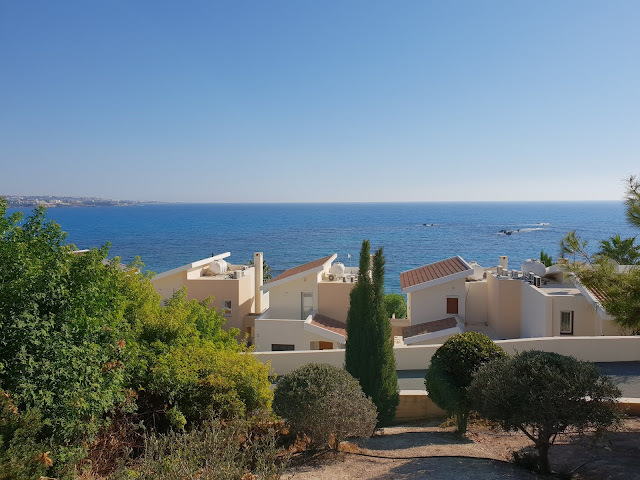 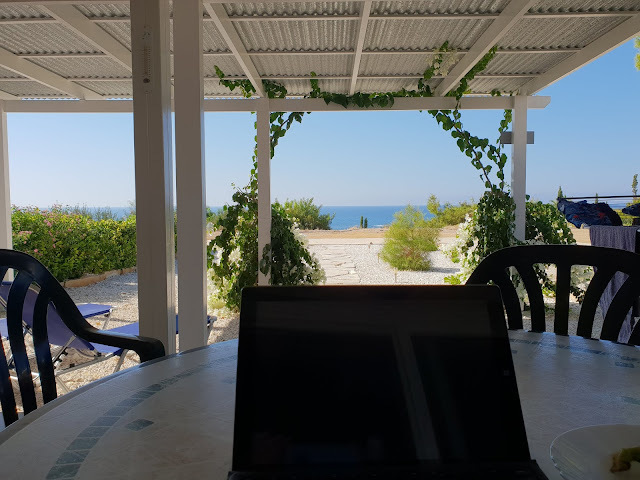 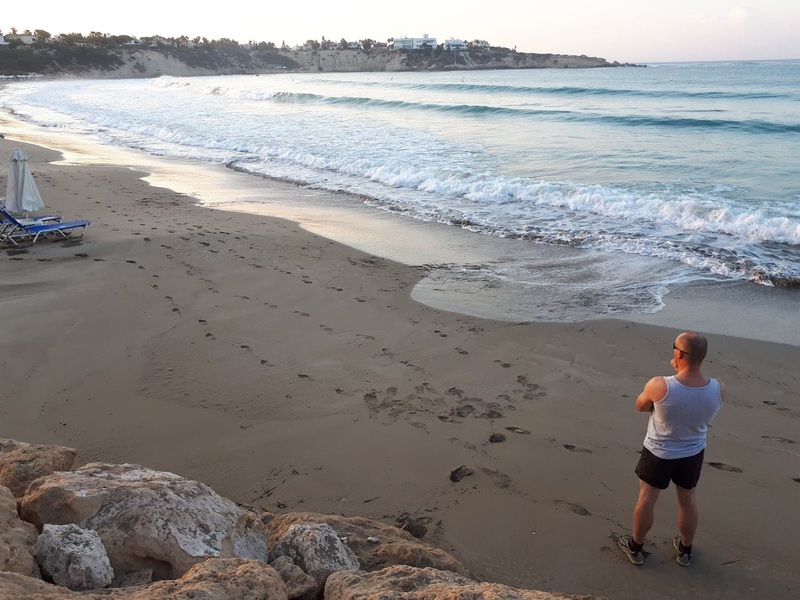 Since Monday I have been in Coral Bay, Cyprus on behalf of Wet and High Adventures researching venues for RLSS National Vocational Beach Lifeguard Course. 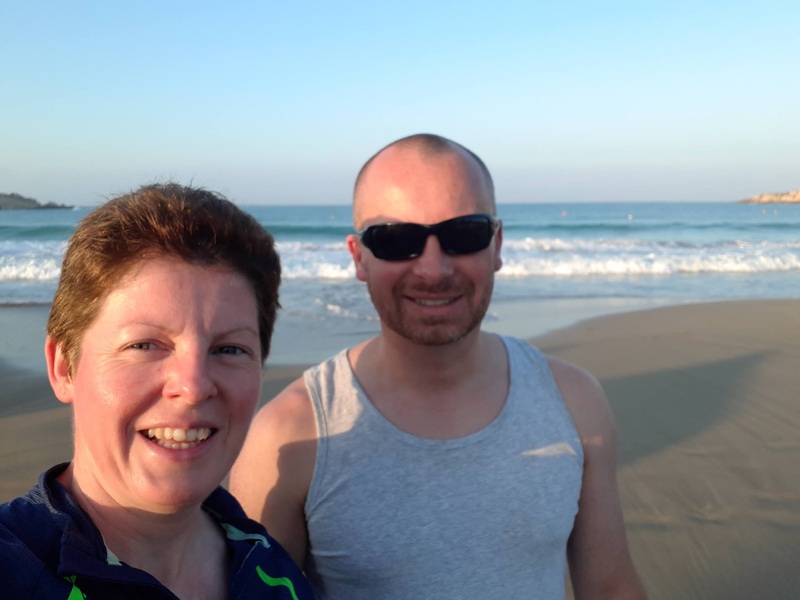 Crys and I have been looking at accommodation options, beaches, training venues and of course checking out the food. 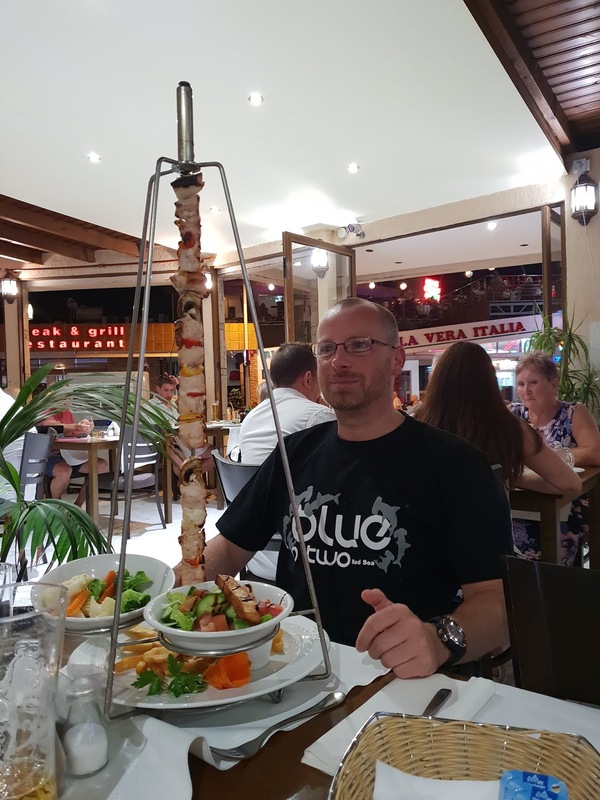 21" Chicken kebab was pretty impressive. We have most days managed to find time to go turtling. 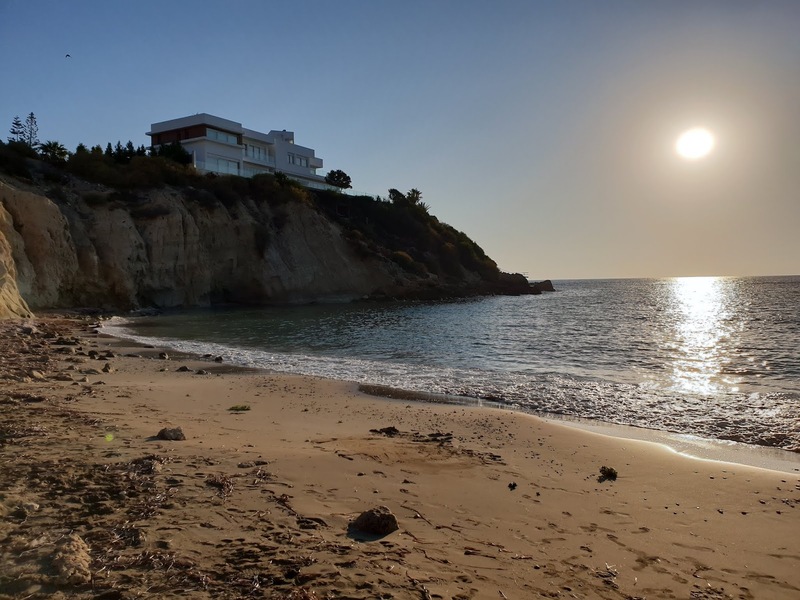 We have a couple of days left before we head back to the UK. 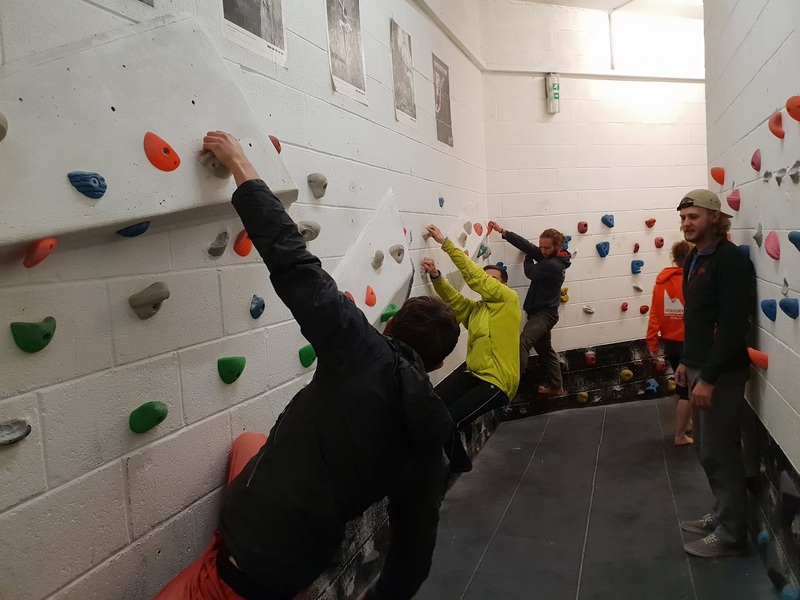 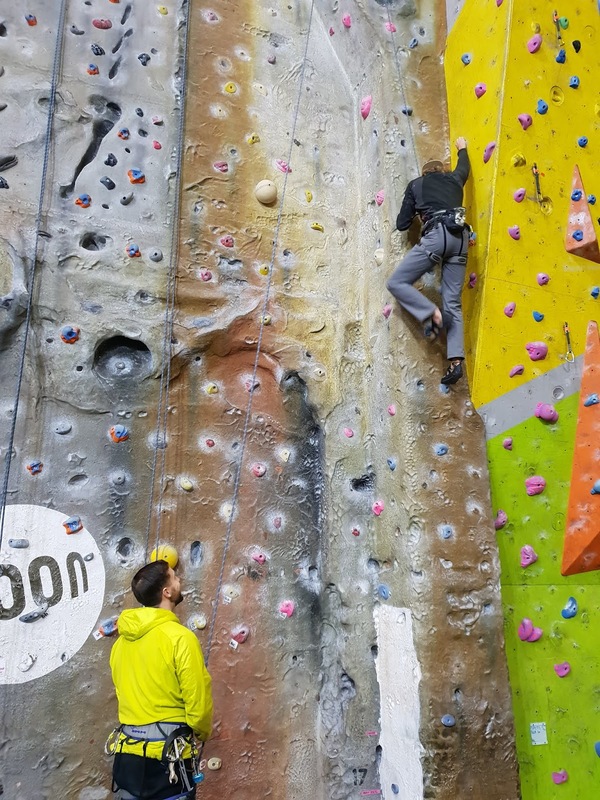 On the second day of the a Rock Climbing Instructor assessment for Beyond the Edge we visited The Foundry in the morning before going to a sunny Lawrencefield in the afternoon. Lots of climbing done in the wall and some up and down work at Lawrencefield. Some good passes today. 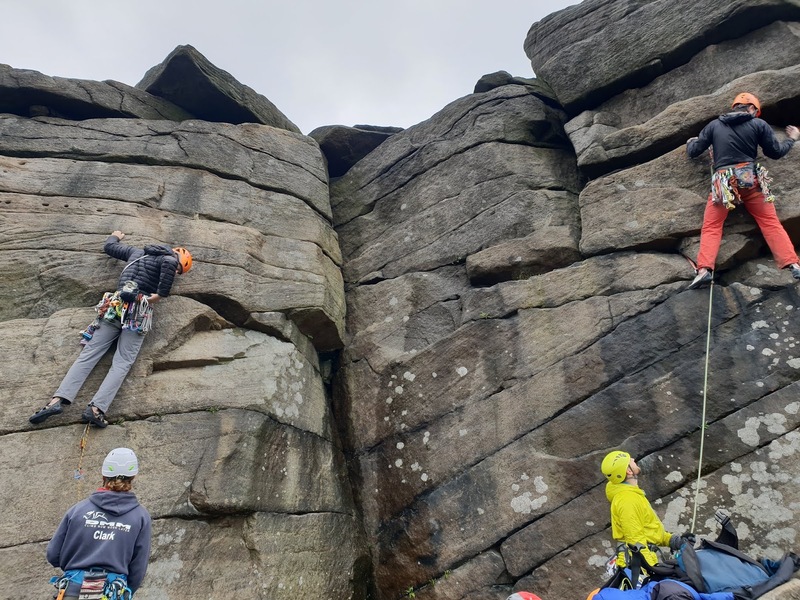 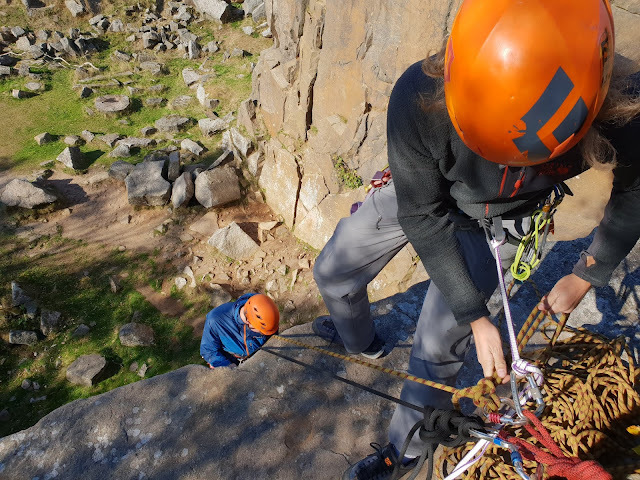 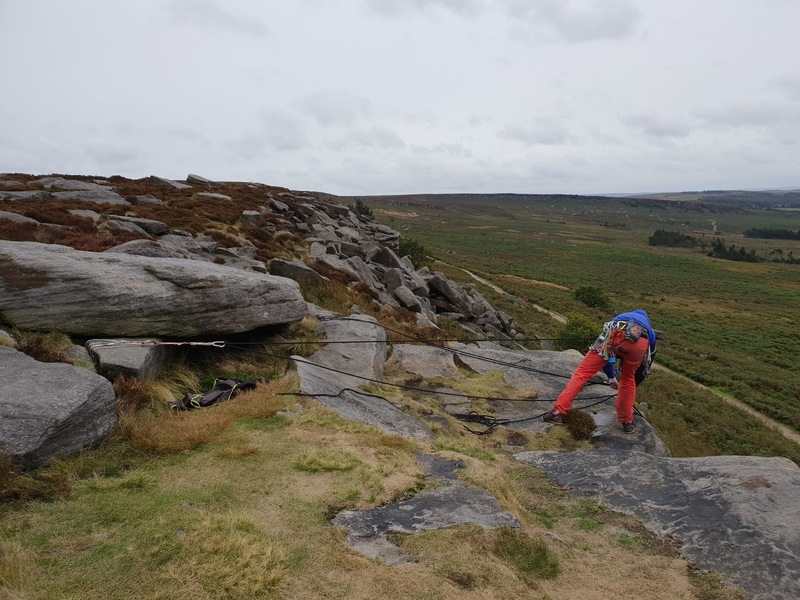 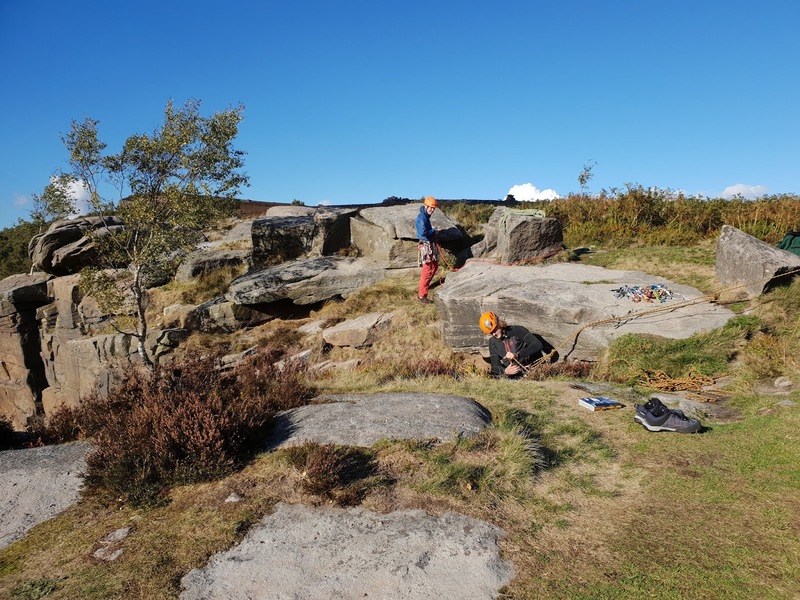 After another week of driving minibuses and logistics, I left home at 3:30 am and today was directing the first day of a Rock Climbing Instructor assessment for Beyond the Edge at Burbage North. 4 Candidates leading routes, problem solving and setting up rope systems whilst I shivered slightly in the cold air. 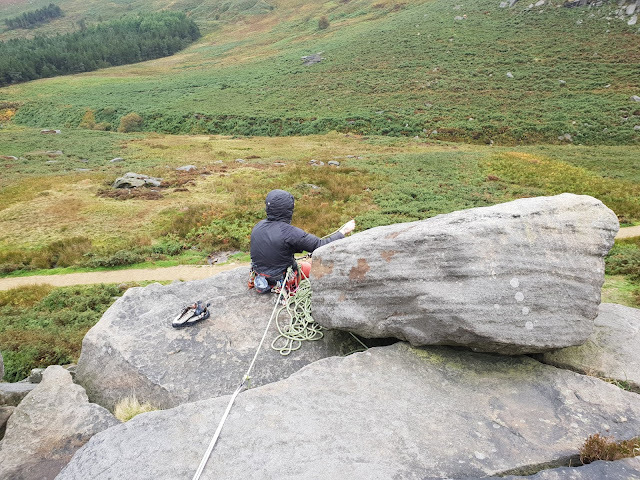 At least it stayed dry other than a few spots of rain so much better than the forecast earlier in the week. 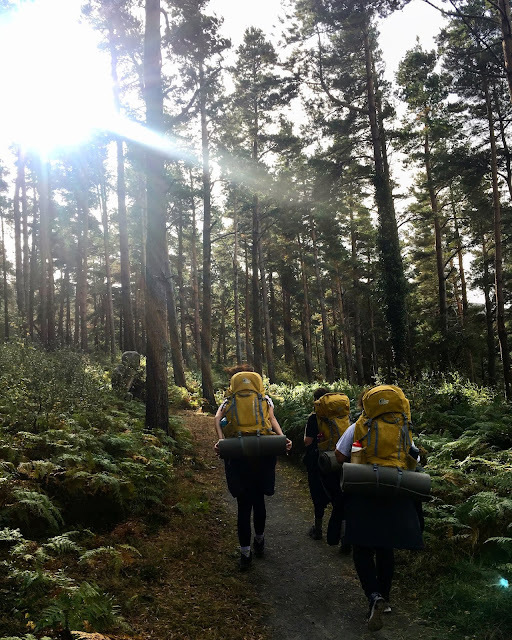 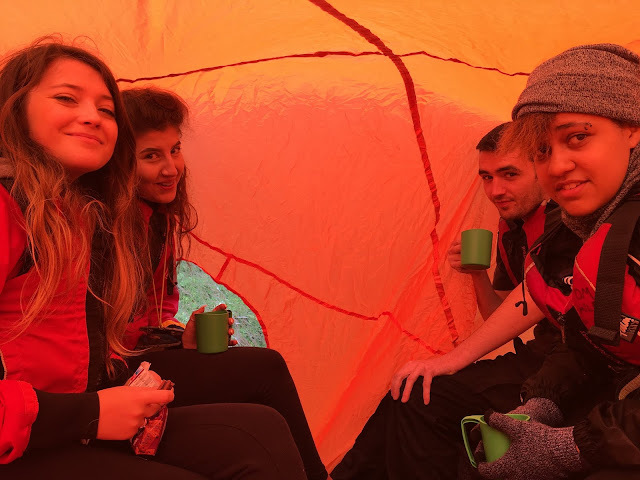 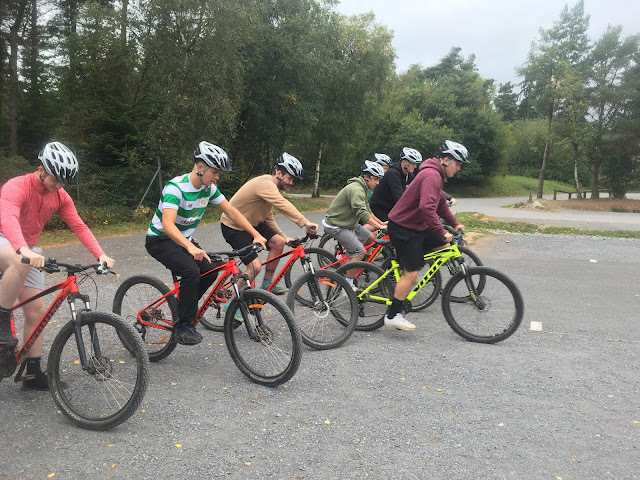 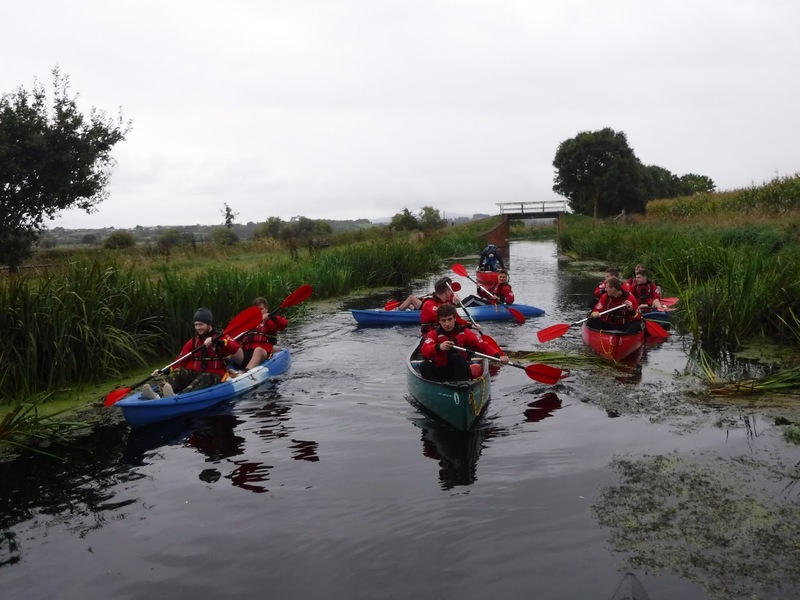 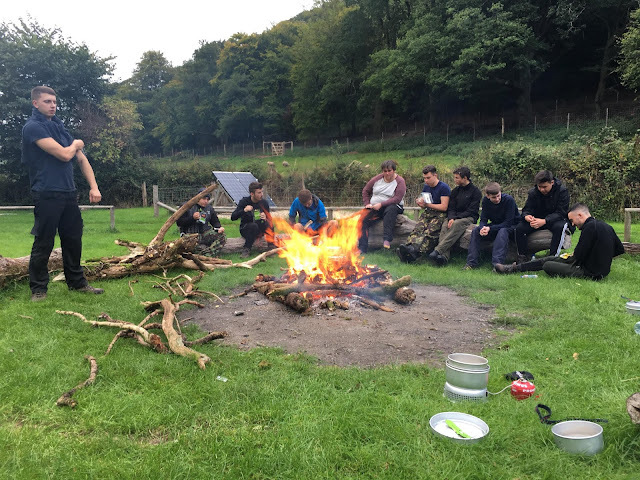 We had groups out kayaking and canoeing, mountain biking and on a mini expedition across Exmoor. 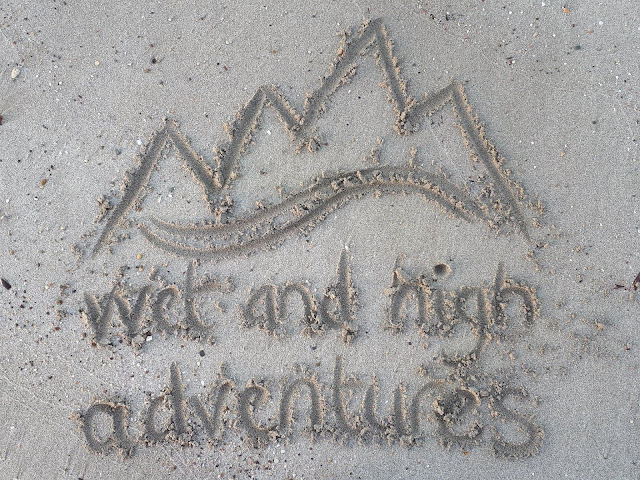 Another great Coasteering session down at Anstey's Cove with 2 couples who were keen to enjoy both the warm water and the jumping and splashing about. 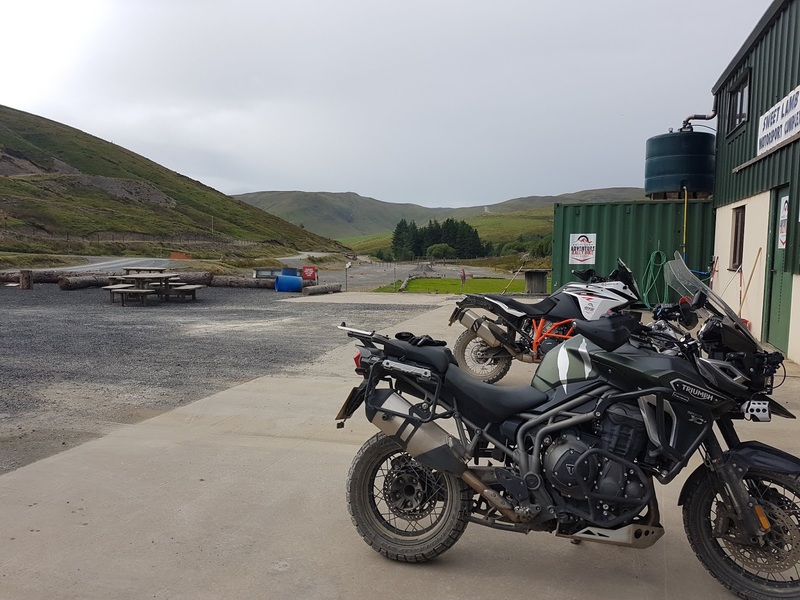 Always good to sample the compulsory post session coffee and lunch at the Anstey's Cove Cafe. Although not quite as sunny as yesterday we got away with the weather and the water is around 17 degrees at the moment. 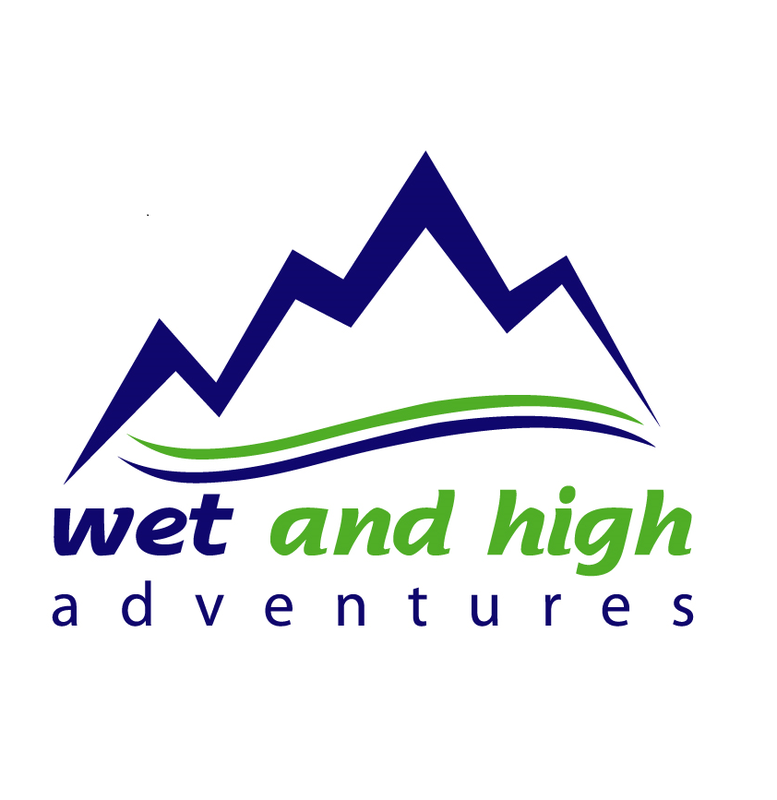 After a week of driving minibuses and shuffling paper, it was great to get out to lead a Coasteering session for Wet and High Adventures Ltd with a group of 8 keen adults in the warm and sunny location of Anstey's Cove, Torbay. 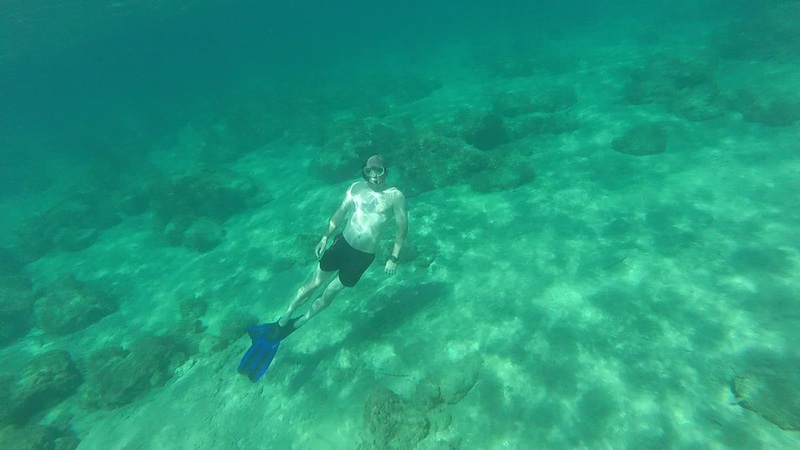 The water was very clear and super calm making for a very pleasant and relaxed day out full of climbing, swimming, jumping and even a sump. 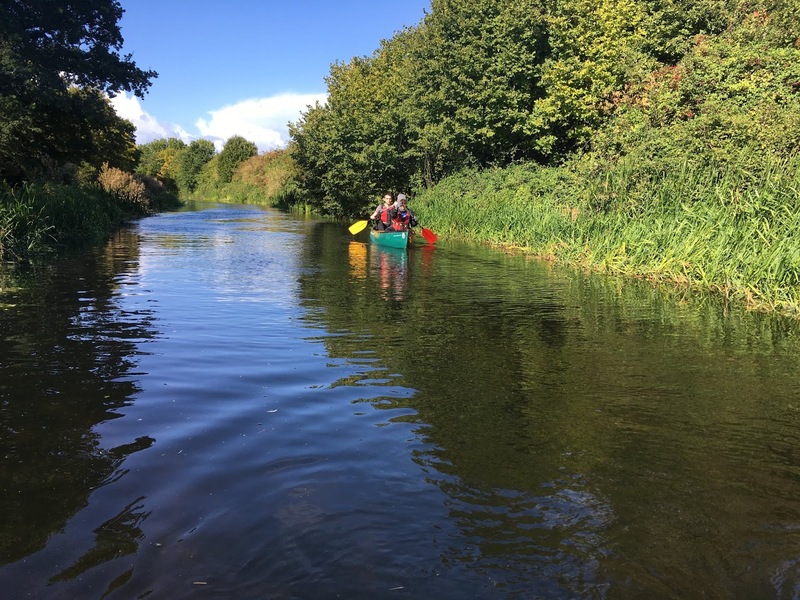 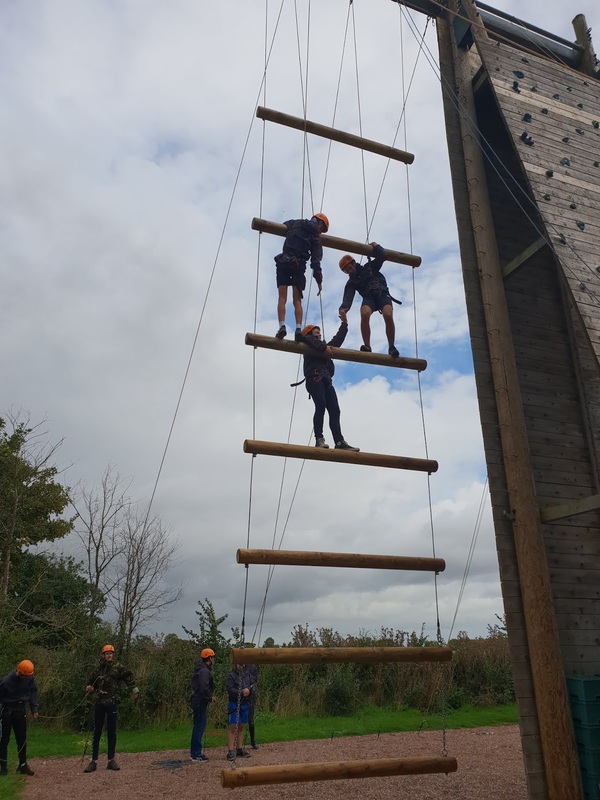 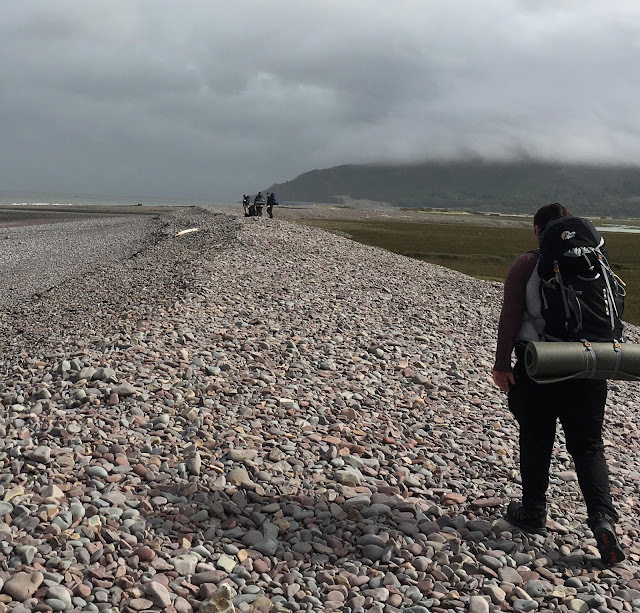 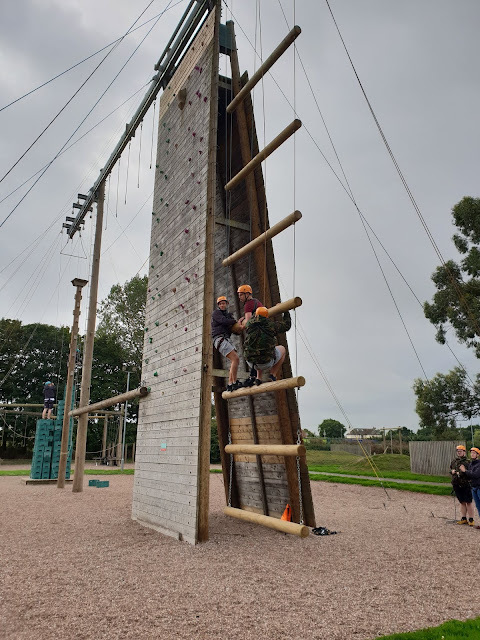 This week I have been working for Wet and High Adventures Ltd managing an activity week for a group of apprentices from Bridgwater and Taunton College. As I had 42 clients, 9 instructors, 4 minibuses and 2 trailers to sort out I don't want to bore you with pictures of what I was doing so these are what the groups were getting upto whilst I was co-ordinating everything. 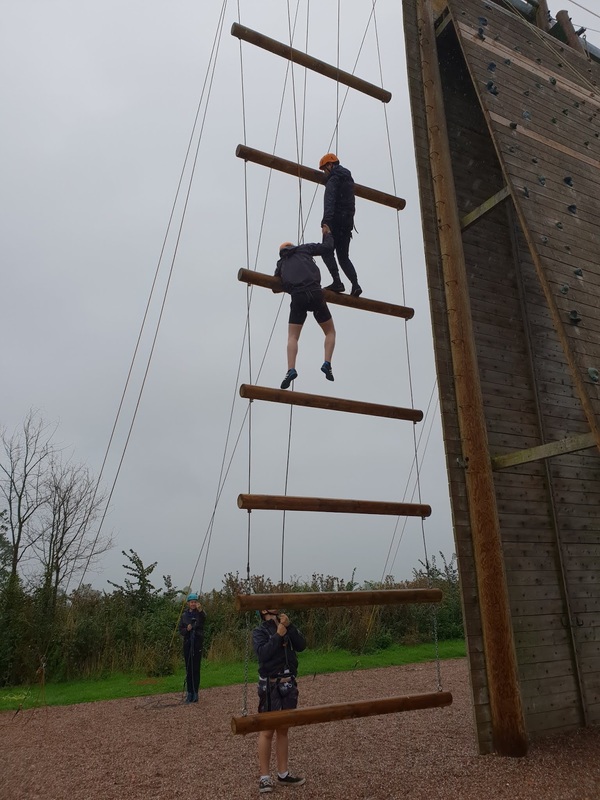 Today I was at Cannington Activity Centre working on the High Ropes with a couple of groups of apprentices from Bridgwater College. 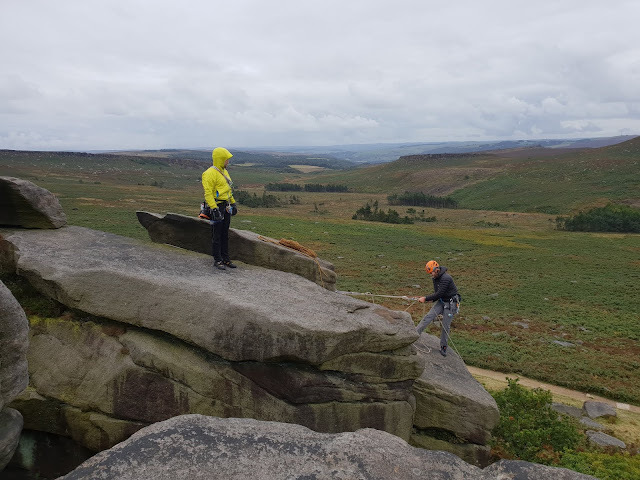 In between showers it was nice enough but very wet and chilly at times. 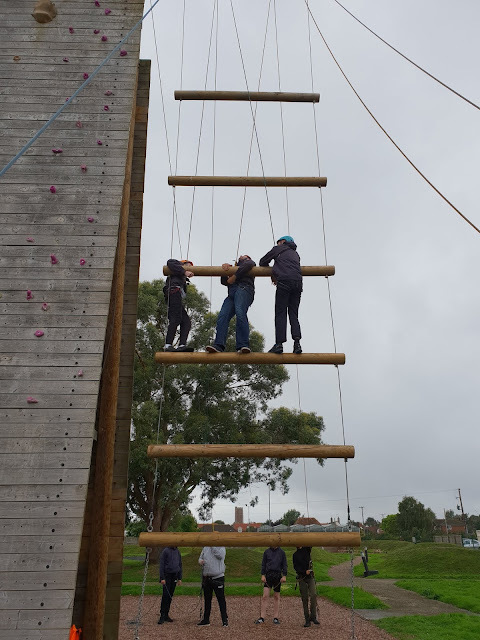 We had a range of successes on the Jacobs Ladder with some making it to the very top and other challenging their fear of heights and making it up to rung three. 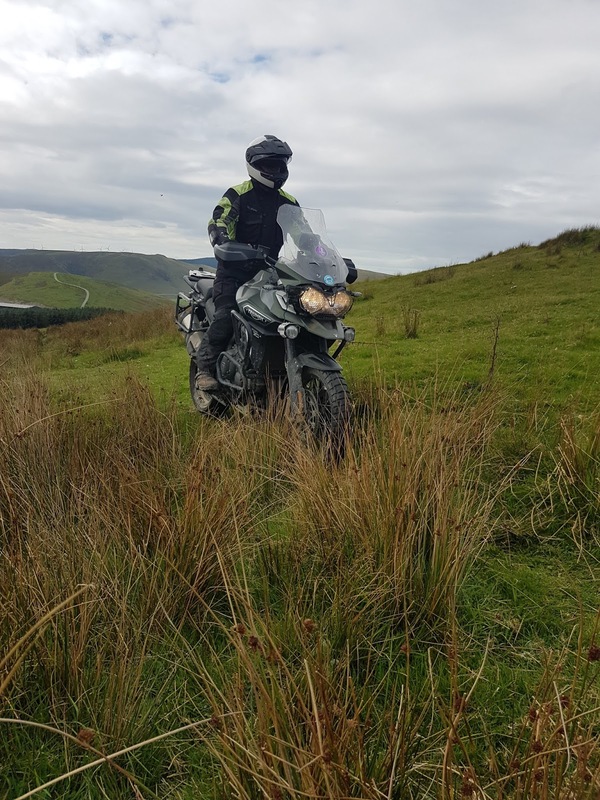 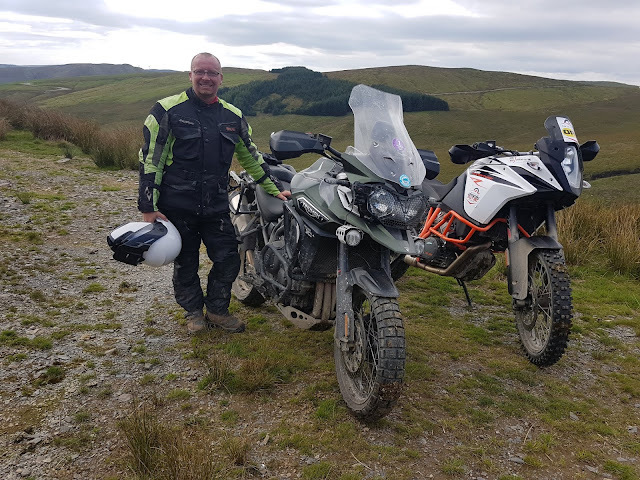 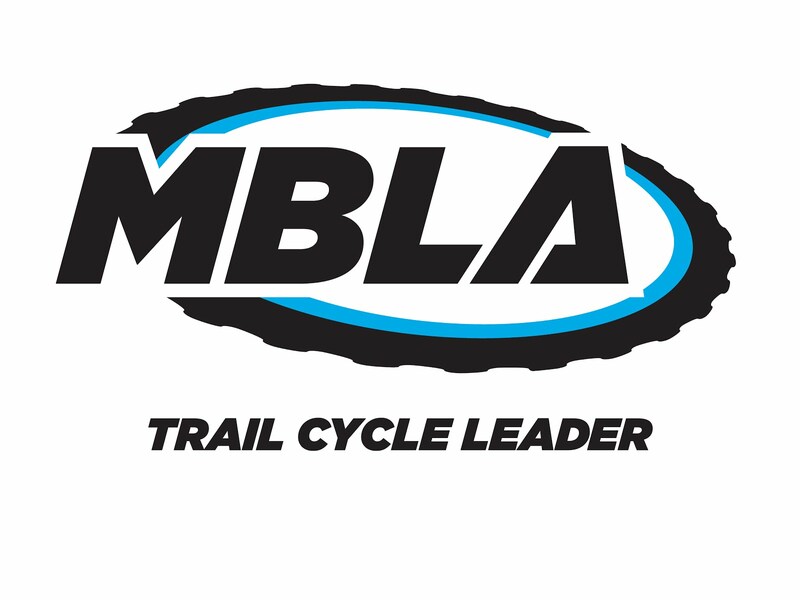 I have just got back from a very productive 1:1 coaching day with Mark "Molly" Molineux at Sweet Lamb Adventure Rally Bike. 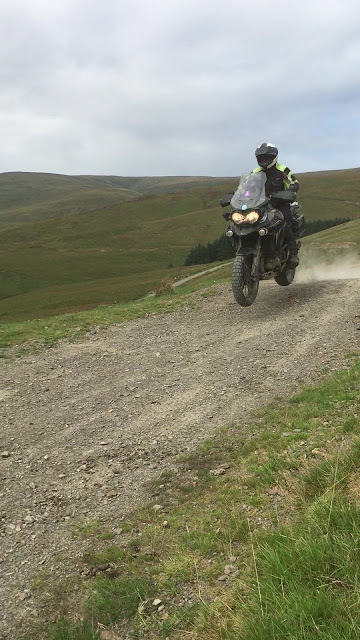 On my last trip up there (curtailed by snow) I realised the limits of the tyres so went back with some more aggressive ones, some Pirelli Scorpion Rally STR. Theses are a good compromise as far better off road but only a small negative result on the road handling. 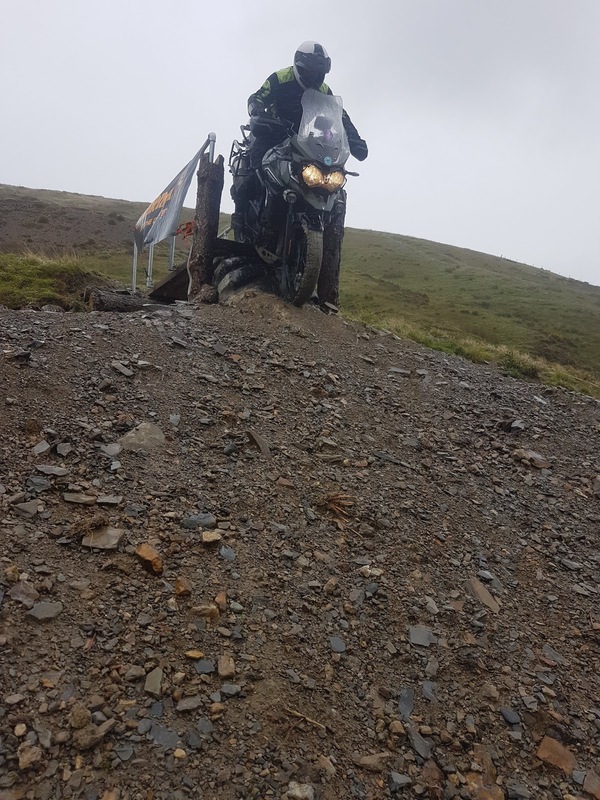 I thought I had made a mistake by telling Molly my nemesis was riding on grass as soon off we went onto the grass. However, by the end of the day, I was all over it and actually looking forward to getting off the gravel onto the green stuff. 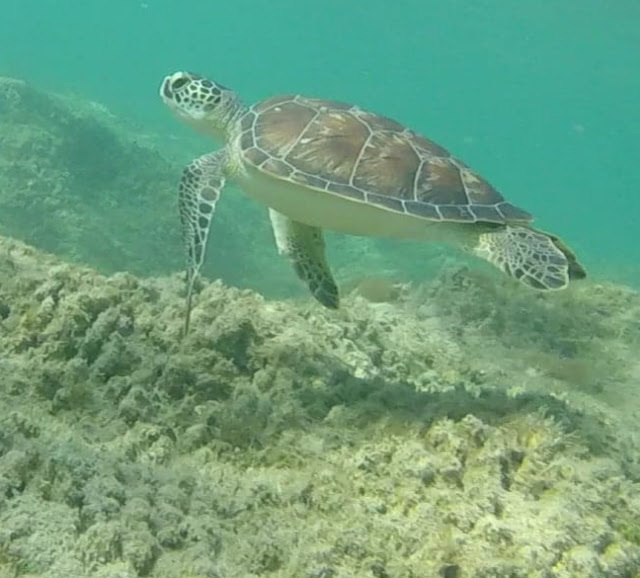 Next time though, I will tell him my nemesis is eating cake. 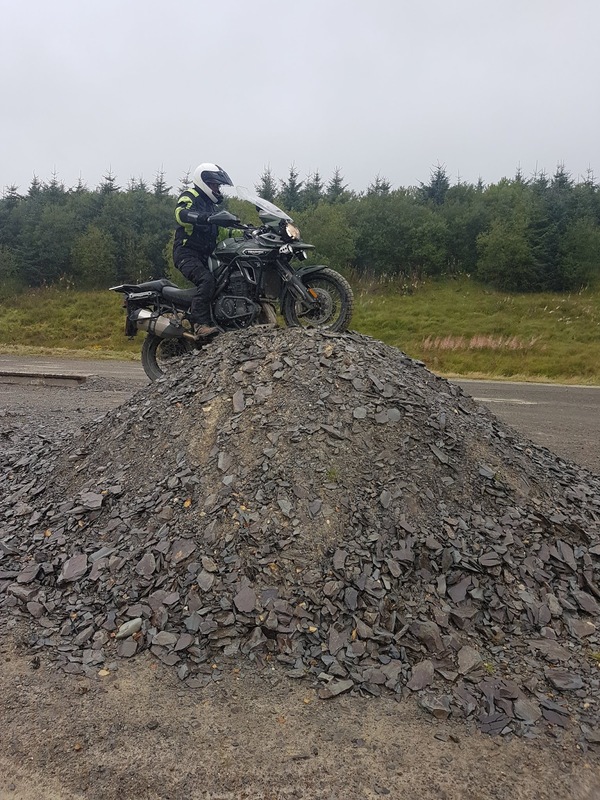 Oh, and also during the day we road about 60% of the off road complex, road over tyres, gravel humps, dodged 1000's of game birds, visited the source of The River Wye , did my first jump on a Big Bike and generally had loads of fun whilst Molly kept pushing the limits of what I thought both I and the bike were capable of. 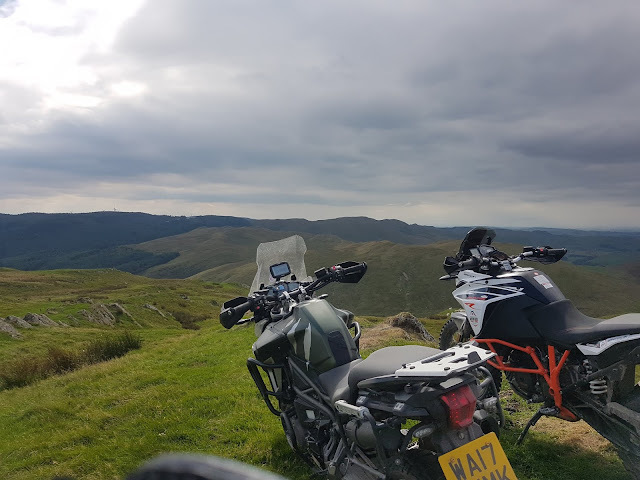 Can't wait to go back in 2019.